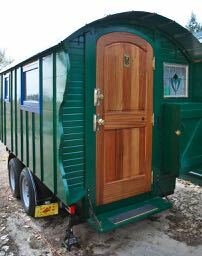 Kent Griswold posted another fine link to sheepherder wagons. The community provides the few essentials not found in the wagon itself; shower, full kitchen, internet, etc. Watch the video here. Or see it on AOL’s website.